Twelve year old Lucretia lives in an Queens apartment building with her single mother. Her best friend Sunny (nee Zhao Hun Soong) is dying of cancer. One day, after Sunny is back from a prolonged treatment session, Lucretia arranges a play date with her. Just when she Sunny is supposed to appear, Lucretia—called Loochie—finds out that Sunny has been kidnapped by the mysterious family of crackheads who live in the supposedly abandoned apartment 6D. Loochie goes up to save her friend. What she finds there is a twisted, monster haunted version of their neighbor, hidden in a small apartment. This suspenseful novella crafts turns an urban legend into a tense YA horror story. The prose is nicely crafted, the mood teeters between classic horror and YA adventure. This slim book is a moving thriller that will remind you of Neil Gaiman’s CORALINE–but much darker. It firmly puts the urban in urban fantasy. 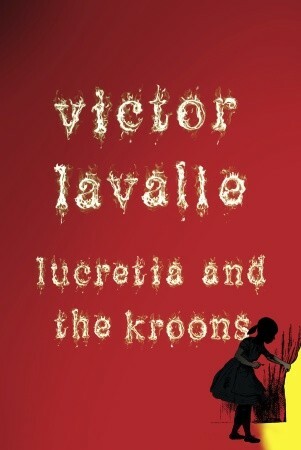 The novella serves as a teaser for Victor Lavalle’s forthcoming horror novel, THE DEVIL IN SILVER. Fans of Colson Whitehead and China Mieville should check this one out.